Sometimes the best medicine isn't an injection or a pill - it's a pony. 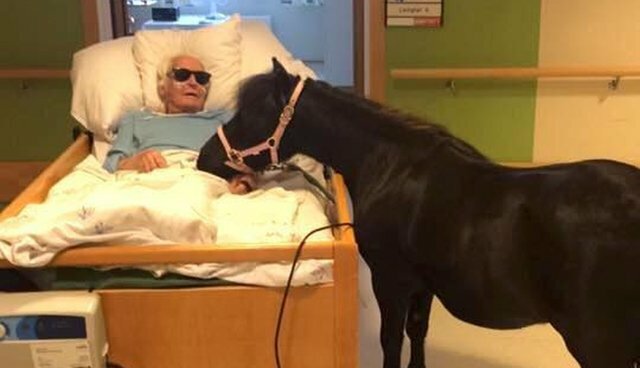 An 89-year-old Norwegian man named Karl Holmen has always had a soft spot for horses, especially one in particular: his granddaughter's Shetland pony, Bolla. 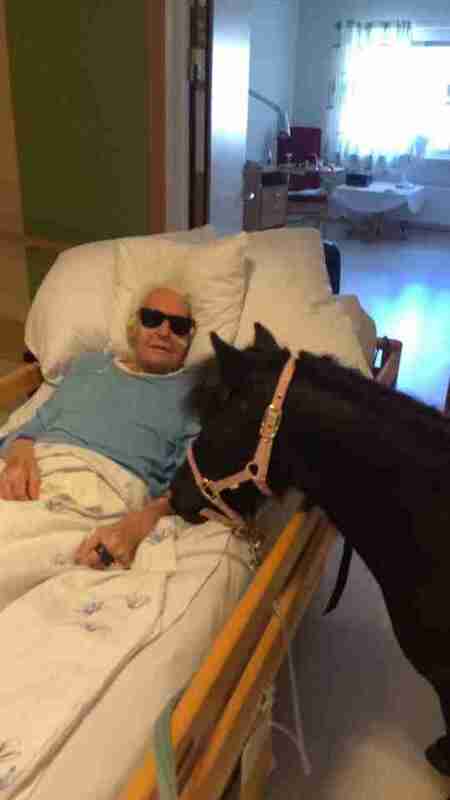 Recently, however, as his health has begun to decline and he was moved to a nursing home, Holmen was saddened by the fact that he was no longer able to visit the stables where 15-year-old Bolla is kept. Seeing just how much Holmen missed being around ponies, his granddaughter, Susan, had a wonderful thought: If he couldn't come see Bolla, why not have Bolla come see him? It's not everyday that the nursing home welcomes an equine guest, but after pitching the idea to management, Susan was given the OK to bring Bolla in for a visit. 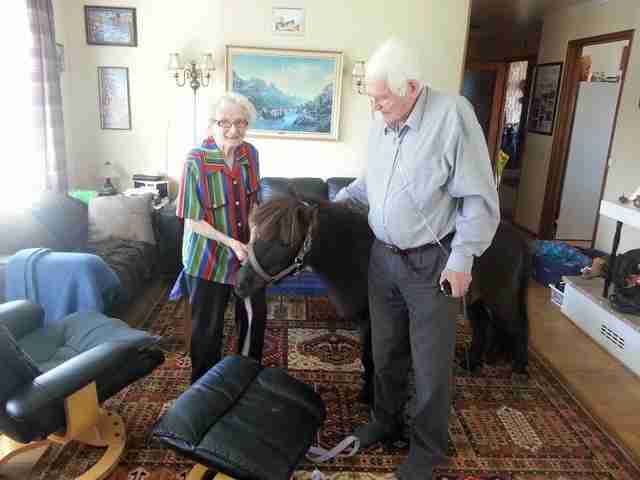 Caregivers at the home understood, perhaps, that it could help lift Holmen's spirits - though they soon learned he wasn't the only one to benefit from the presence of the pony. Last week, the day finally came. Susan guided Bolla from the stable to the nursing home where her grandfather and the little horse were finally reunited. "He thought it was great," Susan told TheLocal.no. "And so did the others at the nursing home. 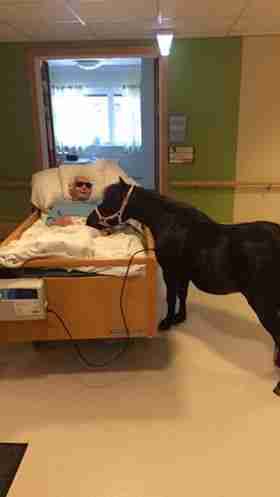 They thought it was very special to have a horse to visit." After stopping by to put a smile back on Holmen's face, the friendly pony continued to make the rounds to visit with other residents upon whom she had the same delighting effect. "This was a very big event, both for us employees and residents. It was great fun. Bolla is definitely welcome back."